"We can't speak highly enough about Amber & Martin, they really listened to what we wanted from the photos of our day, as well as giving great advise from their own experience. Rather than just staying in the background they really interacted with us and our wedding party which made the day flow smoothly and without any delay's. They were able to get the shots we wanted and didn't have any effects on timings on the day, real value for money and couldn't be happier with the end results". 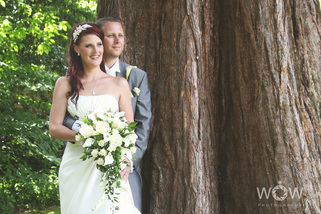 "Amber and Martin were fantastic at our wedding! They are two of the friendliest people you could meet and highly skilled photographers. They captured so many amazing moments and we were over the moon with our wonderful photographs! The only problem we now have is deciding which ones to put in our album! We're so happy we chose them to photograph our special day". 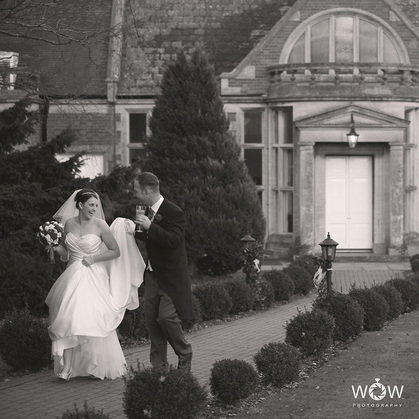 "Wowphotography did an outstanding job on our wedding. They offer fantastic value for money, providing two photographers on the day which means they can literally be in two places at once and ensures they capture a great range of shots including the all important formal ones and the memorable, and sometimes comical, informal ones. They are really efficient too which means they get the job done quickly and they are good at dealing with people which is important when there are lots of guests to wrangle. They supply a complete record of all photos they have taken after the event which means you can relive every magical moment and there are no hidden costs which other photographers have. They are two really great people, I can't recommend them enough, our wedding literally wouldn't have happened without them as on the day one of the taxis we'd booked to take the bridesmaids to the church failed to turn up and Martin stepped in and drove them. Thanks to them we have a brilliant record of our day to keep forever". "So much more than just photographers! Martin and Amber were able to help us with all other aspects towards our big day. Having been to so many different weddings before, they had so much knowledge of how things would look on the day from make up to flowers. Their sense of humour and passion towards getting the right photographs on the day for us was just perfect and we really enjoyed all of the various locations and poses we did which produced perfect photos :)".